This summer we had several flowers appear on the “Stink Lily”. 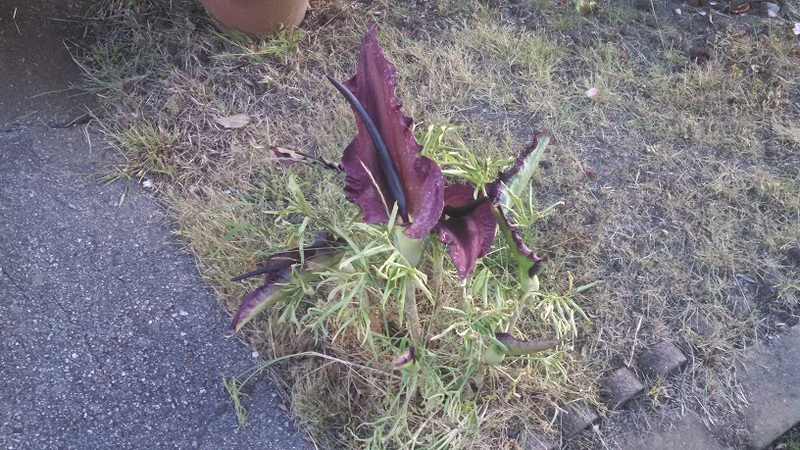 Officially named draconis vulgaris, also Dragon Flower, Voodoo Lily, etc. It looks pretty enough, but smells like rotting meat. Ugh. Oh nasty plant. Never heard of it before.